La Sandia Mexican Kitchen & Tequila Bar, in Stapleton Northfield has found a way to make it easier to sneak off for a quick lunch in the middle of the day and still get back to work (or wherever) quickly. 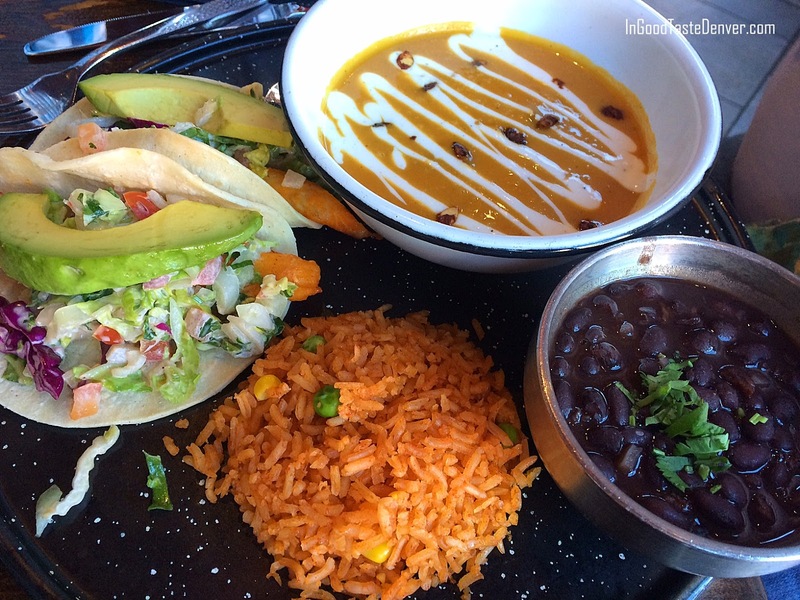 Both the Northfield Stapleton and Park Meadows locations recently launched the new Vamonos Express Lunch Menu. Vamonos offers guests a choice of seven starters, soups and salads, paired with a choice of six sandwiches and entrees for $9.95. The deal is available Monday-Friday, 11am-4pm. Although you choose two items, there are also two accompaniments depending on the options you choose. For instance, my friend chose the Butternut Squash from one side of the menu and Fish Tacos from the other. They came with Spanish rice and black beans on a fun, black, splatter-ware tray. I chose the Chile Verde Pork Stew which had more of the texture of a jar of green chile salsa (which isn’t a complaint) and nice chunks of pork. I loved the garnishing touch of a blistered pepper on top. For my second option, I chose the Chicken Zarape which loosely means “blanket.” Sure enough, my 1/2 portion of chicken was blanketed in sauces including a tasty chipotle cream. My combo brought refried black beans and creamy white rice.Hurry over to La Sandia. Go on, vamonos! 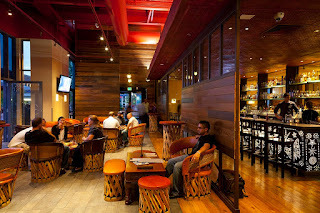 La Sandia Cantina Northfield is located at 8340 Northfield Boulevard, Unit 1690 in Denver. For more about La Sandia's Vamonos Express Lunch, visit the InGoodTasteDenver.com blog.